We’ve previously warned about deals that are too good to be true (https://barracudalabs.com/2015/05/the-big-business-of-spam-dr-ozs-brand-new-trick-to-shed-27-pounds-in-just-one-month/) – and with summer in full swing, the Barracuda Labs team has seen more and more false domains like (rb-to.com, raybanglassesofhot.com and summer-raybans.com) popping up in feeds and social media timelines. Our Labs team ran a background check on the domains and many of them appear to be registered in China, including the domain listed above. While browsing your Facebook or Twitter timelines, you may have come across “sponsored ads” that seem too good to be true. Most can be spotted immediately and swiftly ignored; however, you may have been tagged in a post or received a message on your personal timeline posted by a friend, directing you to a killer sale. See figure 1 for an example. 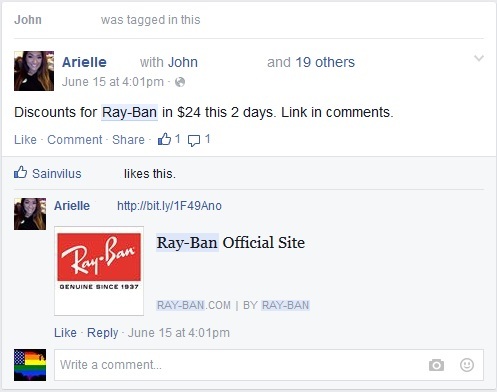 The example above shows an ad for Ray Ban, a popular sunglass retailer whose classic sunglasses range from $155 to $200, that looks as though it was shared by a regular user or even a friend on Facebook. 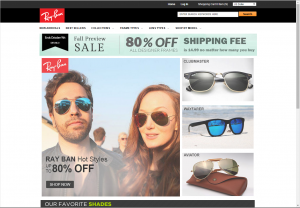 The ad targets unsuspecting consumers looking to score the name brand sunglasses for up to 80% off. 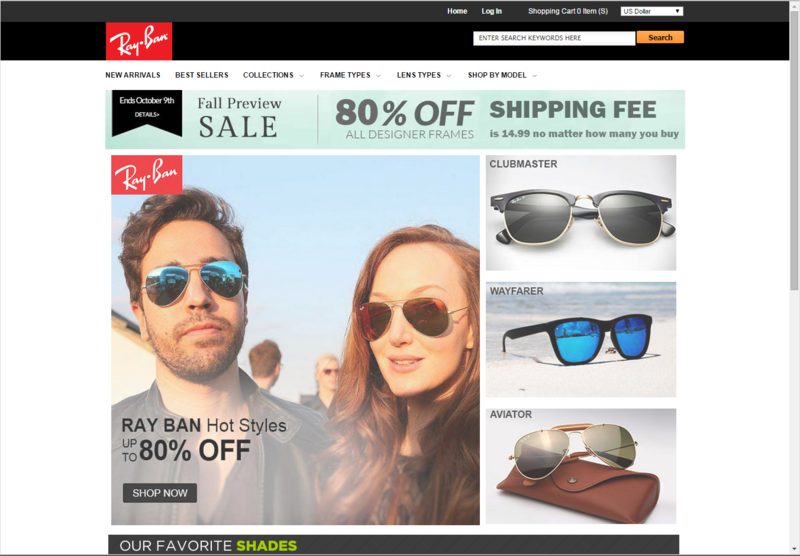 The idea here, like any scam, is to entice unknowing consumers to jump on the hot deals and “buy” the Ray Ban’s at such low prices. 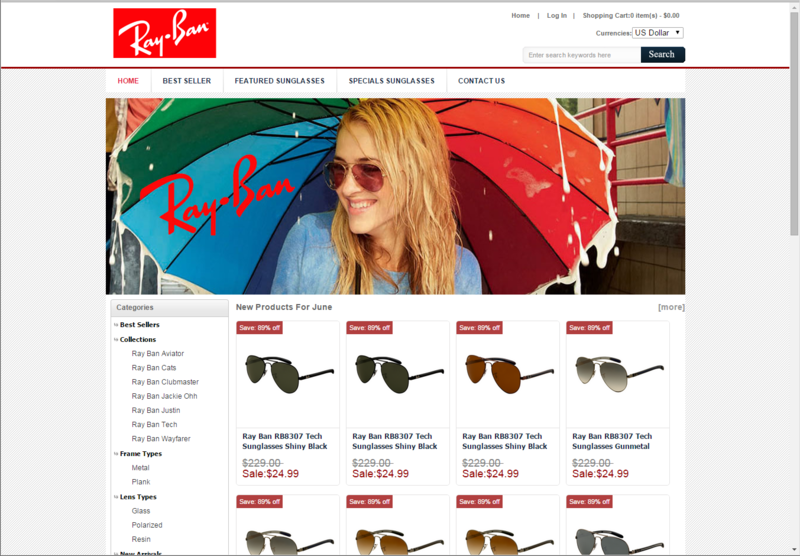 Once the links are clicked on, the consumer is redirected to what looks like a legitimate discount website that is offering deals with up to 80% savings on multiple styles, see Figure 2 and Figure 3 for examples. The phisher hopes that the deal is too good for the consumer to pass up and engages in purchasing the product. Here, the phisher is hoping the consumer will enter their personal data like first and last name, emails address, personal home address and credit card information, to then flip and sell to third parties. Barracuda Labs encourages – if you do get tagged in an ad like this or find it posted to your wall – immediately untag yourself and delete it from your wall so you can avoid letting your friends or family members fall victim to the scam as well. Spammers ask themselves, what sort of email will people click on? The offer of a big sale? Notice of a missed package? An email from a lonely Russian girl? How about a flight you don't remember booking? If you're a frequent flyer, the appearance of an unanticipated itinerary in your inbox could have you clicking without thinking, and that would be a very bad thing. This is especially true if you were the recipient of a very convincing piece of spam we found this week. The intent of the URL is to draw your eye towards the part that says www.aa.com, even though that domain has nothing to do with the link. The actual attacks are delivered from a long subdomain that starts with www.aaa.com.reservation….., which also attempts to disguise that they come from a malicious domain registered only days earlier. Ultimately a version of Trojan.Zeus – a password stealer – was installed on the machine, and the Trojan went right to work contacting command and control servers. Our standard advice applies. Don't click on unsolicited emails, even if they come from someone you might know. Even if an email appears convincing, visit the website directly instead of clicking on the link within the email. Make this your standard operating procedure and you can avoid clever attacks such as this. There is a vulnerability in the part of RPC processing DHCPv6. The failure results because of incorrect handling of malformed messages. On July 28, 2011, this vulnerability was confirmed and reported by Microsoft. To exploit this vulnerability, an attacker would need to intercept DHCPv6 traffic. Once a DHCPv6 Request has been intercepted, the corresponding Reply would have to be modified to contain the malformed Domain Search List option. On reception of this malformed packet, RPC on the remote machine would fail. Exploiting this vulnerability would cause the RPC service to fail, losing any RPC-based services, as well as the potential loss of some COM functions. The error has been found to occur on reception of DHCPv6 Reply (message type 7) packets, containing the option “Domain Search List” (option type 24) with an empty domain. It is very likely that other versions of Windows 7 (and maybe earlier) are affected by this issue. 1. Reception of a “malformed” DHCPv6 Reply packet causes critical error 0xc0000374 within rpcrt4, leaving the RPC server to become unavailable. a.) ipconfig /release <adapter_name> reporting:	An error occurred while releasing interface <adapter_name>: The RPC server is unavailable. This enables e.g. rouge DHCP servers to prevent other machines from connecting to a network. This vulnerability was discovered by Michael Burgbacher and Thomas Unterleitner on behalf of Barracuda Networks AG. The complete advisory is available here.